Some people have always known that they have wanted to be — or not be — a parent. For Tom Garden, his desire to become a father wasn’t clear until a 2014 bus ride in Jerusalem. Born and raised in Minneapolis, Garden spent years “married” to his family business, as he put it, and never really thought about being a parent. After leaving the business in 2014, he took a trip to Israel — his first since he left the country in 1995 after two years of serving in its military. It was during that trip that he ended up taking the bus ride that would change his life. As the bus wound its way through the streets of Jerusalem, Garden suddenly recognized the woman sitting next to him: a relative he hadn’t seen in 20 years. They started talking, and she asked him if he was married or had kids; Garden told her he didn’t know if either was going to happen for him. 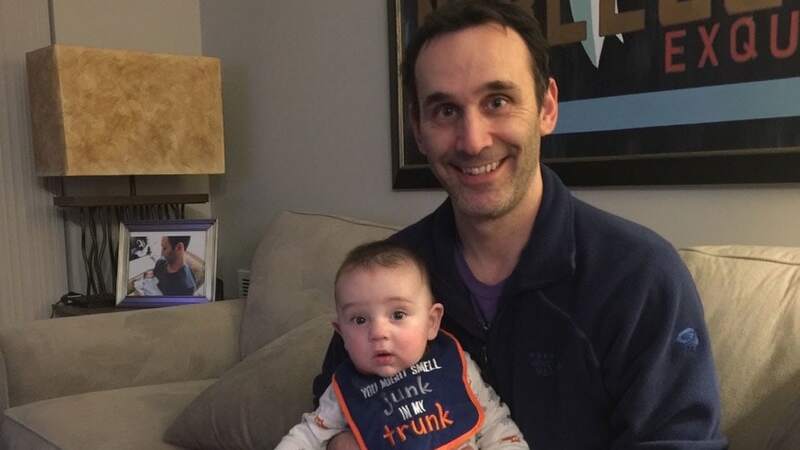 After returning home to Minnesota, Garden told his mother that he wanted to be a father, and she suggested the in vitro fertilization and surrogacy route. Too nervous and embarrassed to make the call to his local clinic himself, Garden’s mother made the call for him, getting some basic information. Being Jewish himself, Garden knew he wanted a Jewish egg donor. After not having any luck finding one in the Midwest, he connected with a egg donor service in New York called Lifespring run by Ruth, an Israeli woman. Like Garden, most of the organization’s donors had also served in the Israeli military and then donated their eggs anonymously after fulfilling their service. After selecting a donor based on photos, family background and genetic history, Garden was ready to move forward with the process. The only fertility clinic that Lifespring works with is the Reproductive Medicine Associates of New Jersey based on positive patient outcomes (i.e., a lot of healthy pregnancies and babies), so Garden flew to the East Coast to meet with the doctors to walk through the rest of the process. 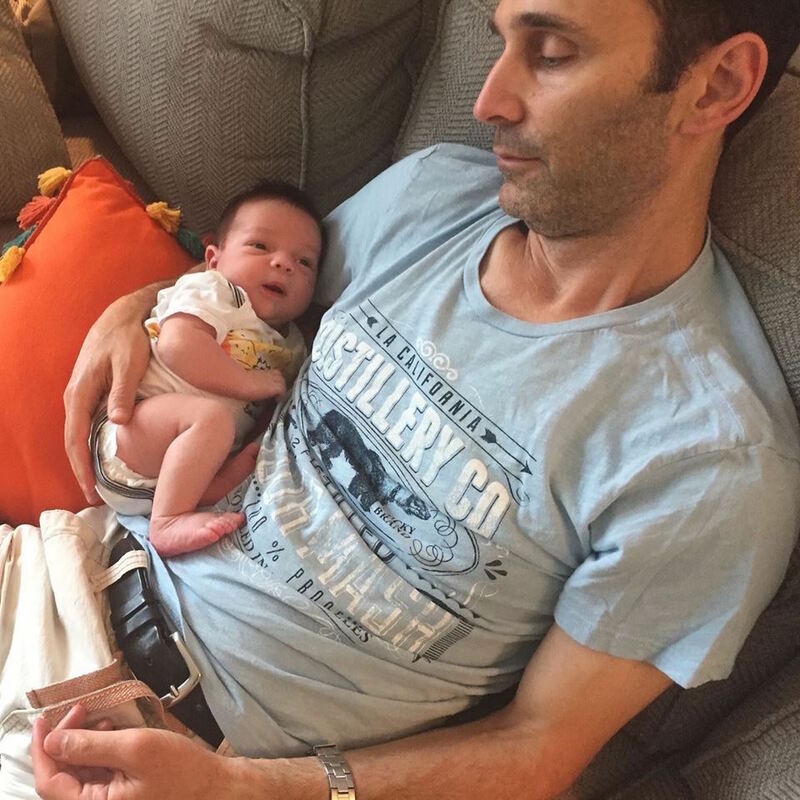 Soon after, the egg donor flew in from Israel for the retrieval process, Garden provided his sperm sample, and he came one step closer to fatherhood. Initially, he didn’t realize that the egg donor and surrogate would be two separate women. While that’s not always the case, it is for donor eggs acquired through Lifespring, so Garden worked with Surrogate Steps, another agency based in New York, to connect with a surrogate from Arkansas. Garden and his surrogate became very close during her pregnancy and have remained friends. In fact, they’re going through the surrogacy process again together in a few weeks, as Garden tries for a second child. His first child, Joseph, will turn 1 on June 25. While Garden may be ready to have another child now, when Joseph arrived a year ago, he felt less than prepared. Having never held an infant or changed a diaper in his life, he said that he was “less scared in the Israeli army” than he was as a new father. His mother suggested a doula, whom he hired to stay with him and Joseph around the clock for several months. But it wasn’t just the practicalities of being a single father that Garden thinks makes other men apprehensive about going through with it — it’s also the stigma. Garden was also subjected to something most women go through at some stage during their childbearing years — having people question his personal reproductive choices. “There were one or two family members who weren’t as understanding, asking ‘why don’t you have kids the ‘normal’ way? Why didn’t you meet a girl?’” he said. But it’s not that he didn’t try. Prior to his trip back to Israel, Garden had been doing some online dating, but hadn’t met anyone who made his “heart sing,” he explained. Many of the women he was meeting were in their early to mid 40s and either already had kids or didn’t want them. “I thought I was destined to be a guy who doesn’t have a family,” Garden added. Now, he’s trying for a second child. Despite loving his past year of being a full-time stay-at-home father, Garden said he was initially surprised at how much work it was to be a single dad, but said it has been “a wonderful challenge” and something he will do again. If there is one thing Garden wants other single men who are interested in becoming fathers to know, it’s that IVF or adoption are absolutely viable options for them.